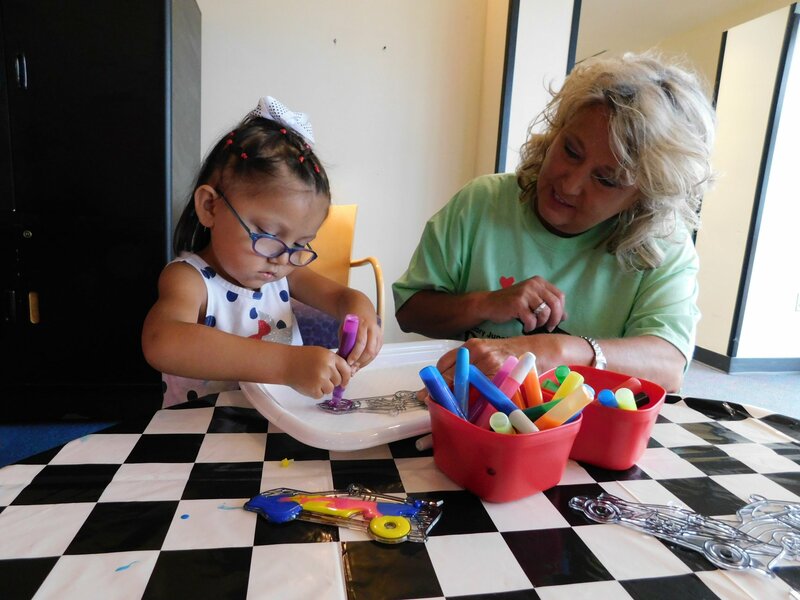 The Carolinas Credit Union Foundation and Victory Junction, with support from nearly 20 credit union volunteers, hosted a successful Reach Carnival on May 21 that spanned across two locations in Winston-Salem, NC: Brenner Children’s Hospital and the Ronald McDonald House. The event, organized by Victory Junction, provided carnival-style games and activities for more than 75 participants including patients, siblings, caregivers and families. Lion's Share Federal Credit Union's Misty Fisher volunteers at the arts & crafts station at Brenner Children's Hospital on May 21, 2018. View more photos from Reach Carnival on the Foundation's Facebook page here. “I want to sincerely thank our volunteers from Piedmont Advantage Credit Union, Lion’s Share Federal Credit Union, Truliant Federal Credit Union, and Vizo Financial for helping us deliver #campmagic to all of those who participated,” said Carolinas Credit Union Foundation President Lauren Whaley. This is the third large-scale event organized by the Carolinas Credit Union Foundation, with the first successful event held at the Greenville Children’s Hospital on April 20, 2017 and the second at MUSC in Charleston in conjunction with the Lowcountry Chapter of Credit Unions on August 9, 2017. Two more Reach Carnival events are planned for this year at the Levine Children’s Hospital in Charlotte, NC and the Wake Med Children’s Hospital in Raleigh, NC. Through the Reach program, credit union employees are also able to volunteer each month at local Ronald McDonald Houses from 6:00 – 8:00 p.m. Click here for the Reach volunteer schedule (note: Charleston and Charlotte are full for the entire year). If your credit union is interested in volunteering or financially supporting the Reach program, please contact Lauren Whaley at lwhaley@carolinasfoundation.org.